Perched on a small stool at the end of the bar, Manya Soviak spent most of her 91 years welcoming family, friends, and newcomers with equal warmth to Abick's, her family's saloon tucked into a residential corner of Southwest Detroit. After a brief illness, Manya passed away this Friday, leaving behind a rich legacy, a fine chili recipe, and a wealth of stories. Funeral services were held on Tuesday at Saints Peter and Paul Orthodox Church on Dennis Street, just down the road from the bar. When George and Katherine Abick set up shop in the saloon in 1919, they were following an emerging trend in Detroit. The bar itself, which was granted a building permit on July 13, 1907, had been handed down from its original owner, John Wasielewski, to Katherine's uncle John Benske in 1910. Backed financially by the Stroh's Brewing Company, the recent immigrants from Poland opened the corner bar and gathering place, building a combined bar/living quarters on the corner of Dennis and Gilbert streets in the middle of a neighborhood largely comprised of newly-arrived Eastern European families looking for jobs in auto factories. The Abicks' arrangement with Stroh's Brewing was a common one: the brewery supplied cash, furniture, and fixings in return for an agreement to serve Stroh's beer exclusively. These "tied houses" once dotted corners all over the city and served as gathering spots, social halls, political hot spots, lunch counters, and more. 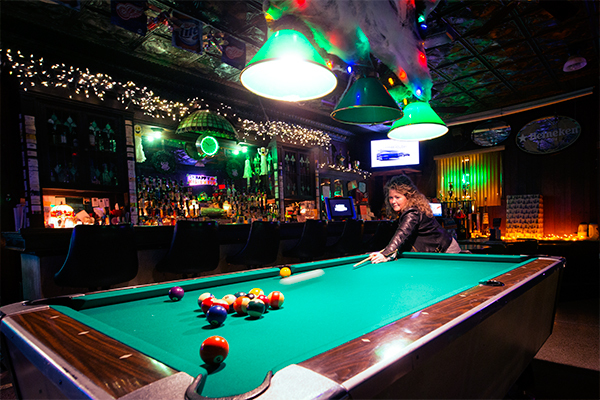 The neighborhood has seen plenty of changes over the years, but the cozy bar at the corner has remained a center of community life throughout its existence, due largely to the fact that Abick's has remained in the original family for over a century. In recent years, Manya and her grandson Eric Lakeman worked together many days, the third and fifth generation of Abick family owners carrying on the tradition of Detroit's oldest continuously family-operated bar. Manya Soviak, who celebrated her 91st birthday in October, started working the bar at an age she wouldn't specifically identify, child labor laws being a bit different now than they were 75 or so years ago. Along with her mother, Manya served the hordes of hungry servicemen departing for World War II, and more than a few women working the factories while the men were off at the front. When asked about the bar's function during Prohibition, Manya gave a coy look and muttered something about "the boys" leaving packages, but would say no more. Recent renovations have uncovered some items that might help explain Manya's discretion about the bar's Prohibition history. While fixing some pipes in a crawlspace under the restroom, Eric and others discovered several bottles from and before that era squirrelled away, as well as two yet-unidentified barrels and a crate advertising "Pond's Kil-A-Kol, Recommended for Colds, Coughs, and Cattarh." It's a safe bet that there are more historical treasures still stashed within the walls somewhere, but for now the family is content with leaving them be. The cash register at Abick's BarAfter 107 years, Abicks is largely unchanged in appearance. The original tin ceilings and low lights cast a subtle, warm glow over the elegant mahogany bar top and back. The ancient brass cash register rests under a stained glass light fixture. The floor has been re-carpeted, and some of the walls have suffered at the hands of the overzealous wood paneling craze of the 50s, but generations' worth of family photos and memorabilia create a welcoming aura. If you step into the cigar lounge, a converted old backroom of the bar, you'll find leather couches, a carefully crafted cigar and scotch menu, and a personalized cigar locker if your tastes run that way. You'll also find more evidence of the Abick family's deep roots: artifacts from decades of family members in police, military, and fire service. There's an ancient police call box propped behind some antique bar signs, nestled among other knick-knacks, as well a still-functioning antique rotary phone. At this time of year, the bar is festooned with holiday lights, Santa figurines, and an entire Christmas village in the women's lounge-turned-social room -- a relic of when men and women did not congregate together in bars. If you're very patient, you may just be graced with the presence of Shadow, the resident gentle giant. He's a year-old English Mastiff, and he's more likely to be found hiding in the corner than pestering the customers. Shadow is the latest in a line of mastiffs "working" the bar, and is still learning the ropes of being a bar dog. Lest you think Abick's is nothing more than a quiet and aging relic, though, stop in some night when they're playing host to any number of special events. There's a league dart night on Mondays, and plans are in the works for a weekly trivia night. The annual rib cook-off, Pig-a-Palooza, draws a sizeable crowd, and the bar regularly pledges funds to the Children's Leukemia Foundation of Michigan. Any given night you can find a steady cast of regulars, recent additions to the neighborhood, and curious newcomers. Says family friend Kit Lindamood, "[T]he thing that continuously happens because of this place is that people find each other here. People just crash into each other who have history in this neighborhood, find out that they have this connection -- their families grew up around each other." At the most recent cookout, two participants discovered that their ancestors came to Detroit on the same boat. These discoveries are surprisingly common at Abick's because the family bar has been a neighborhood cornerstone for so long. "We're stubborn, and we're privileged to have such a wonderful clientele," says Eric Lakeman. "They're more like family, working-class family…neighbors who care about each other." He sees a "youthful resurgence" entering the neighborhood, too, and while Abick's has "run the gamut from wakes to weddings" in its days, Eric and Manya and the extended family ensured that Abick's staying power results from its friendly vibe and the sense that all are welcome. 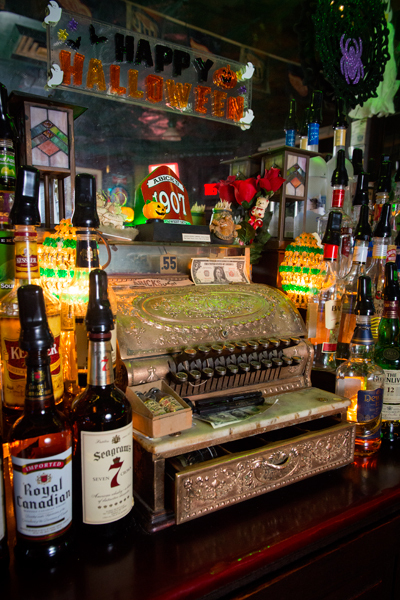 Mickey Lyons is a writer and historian of Detroit's drinking culture.